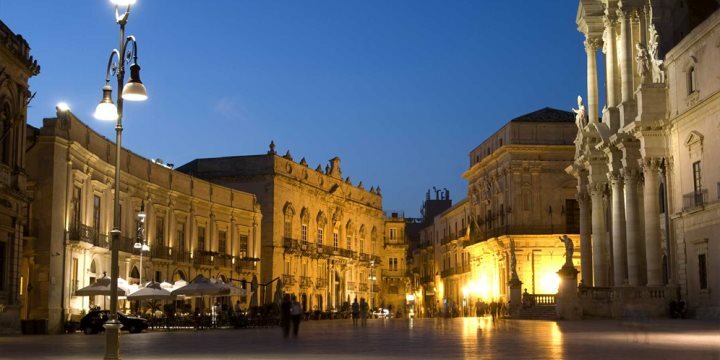 In Sicily’s large cities you’ll find all the usual chain stores like Benetton and H&M but independent Sicilian shops and market stalls are far more interesting places to shop. The colourful outdoor markets can be reminiscent of an Arabic souk, in fact some of these markets are held on the very same streets today as they were in the 10th century. They should be enjoyed with all your senses and the many gastronomic delights you’ll find here make great souvenirs. While the most well-known are in Palermo and Catania, almost every town and neighbourhood has its own "mercatino" (little market) held once a week. Palermo’s markets are open every day except Sundays from 9am, closing around 7pm except on Wednesday when they finish around 2pm. La Vucceria, is Palermo’s best known and most touristy market. It extends from Piazza San Domenico, off Via Roma, along Via Maccheronai toward Piazza Caracciolo and Corso Vittorio Emanuele, branching off along Via Argenteria. As well as fresh food produce you’ll find some household goods and clothing. Ballarò market reaches from Piazza Ballarò in the Albergheria district along Via Ballarò past Piazza Carmine toward Corso Tukory. It’s a popular market for the locals every day food shopping. Mercato di Capo is located behind the Teatro Massimo, and extends from Via Porta Carini toward Piazza Beati Paoli. This is the largest market in Palermo and sells a variety of goods as well as food items. The spices you can buy here make excellent souvenirs. 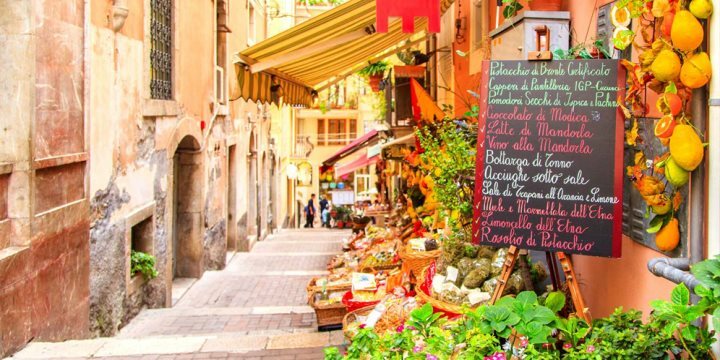 Borgo Vecchio is one of the oldest markets in Palermo, a kind of mini Casbah that opens late and is popular place to browse especially with the young Palermitans before dining out or for some late night bargain hunting. 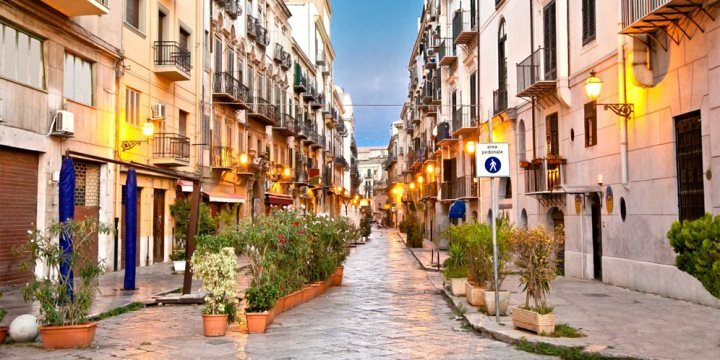 Find out more about Palermo, its shopping and markets on our blog. While most markets in Sicily have a strong food element there are of course a few markets that specialise in other areas and one of our favourites is Palermo’s flea market, Mercato delle Pulci, held in and around Piazza Peranni. As well as antiques and bric-a-brac, you’ll find some lovely reproduction furniture and vintage shops. Catania's markets are held every morning except Sundays. Piazza Carlo Alberto market is held in a large square near Via Umberto and Corso Sicilia, easily reached from Via Pacini off Via Etnea near the Villa Bellini park. The Pescheria ("fish market") is found off Piazza Duomo between Via Garibaldi and Via Pacini, extending along Via Gemelli Zappalà and some of the nearby streets. Catania's markets are closed Sundays and most afternoons. Read more about Catania on our blog.